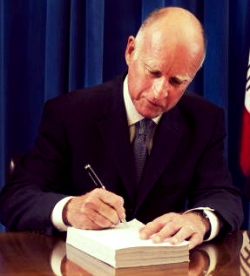 Governor Brown has signed Senate Bill 306 into law – sealing a major victory for California workers and dealing a serious blow to unscrupulous employers. SB 306 (Hertzberg) strengthens protections for whistleblowers fired or discriminated against for reporting dangerous working conditions or other labor code violations. It allows the Labor Commissioner or a private attorney to seek an injunction to protect a worker who has suffered retaliation for reporting violations or engaging in protected activity under state labor laws. This can include an order that the employer temporarily reinstate the affected worker while the claims are investigated. SB 306 also expands the Labor Commissioner’s authority to investigate retaliation cases, allows her to cite employers for unlawful retaliation, and increases penalties for employers who willfully break the law. It improves working conditions across California by bringing illegal activity to light and discouraging retaliation before it happens. Worksafe and our allies promoted the need for a law like this because we know that an injury to one is an injury to all. When one worker is fired for speaking up, other workers are more likely to suffer in silence. The employer holds all the cards in this situation, and it was time to change that. We thank the California Labor Federation for championing this bill, and applaud Governor Brown and California lawmakers for recognizing that employer retaliation has a chilling effect on workers’ ability to assert their rights in the workplace. We hope that you will join us in spreading the word about this profound victory.